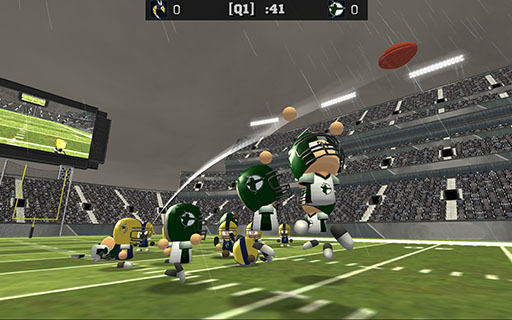 League Star Football is a gridiron game for mobiles and the web. League Star Football is a free 3D football arcade game with a career mode. 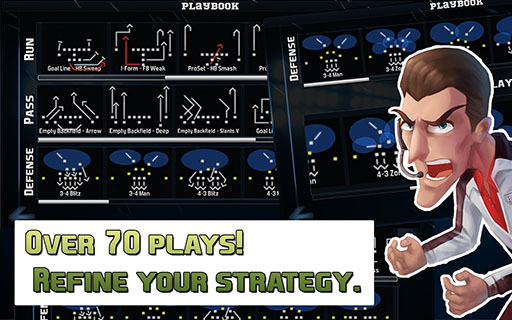 Power through the defense, dodge tackles, and take home the win in League Star Football, an in-depth gridiron challenge for tablets and mobiles! Featuring a 3D match engine, season mode, 4-player local multiplayer, over 70 plays, and 24 teams. Compete in full seasons, sign on new players, modify your playbook, and take home the championship cup! Field goals, punts, touchdowns, kick offs, interceptions, fumbles, and substitutions are all in the game. Change out tired or injured players with intuitive depth chart management. Sign on new talent and nurture their development! This is gridiron at its best! League Star Football includes local 4 player co-op and competitive play. 3D match engine complete with jumps, dives, and spin moves! Over 70 plays! No other American football game comes close. Pick a football team, hit the turf, and go for the win! 2019 © All Rights Reserved. Winterlight Pty. Ltd.